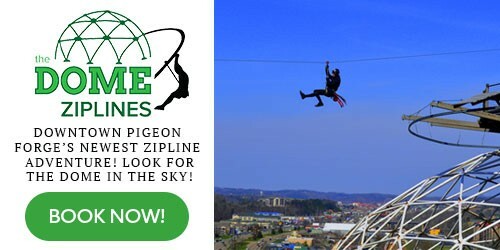 Looking for a Pigeon Forge zip line adventure? 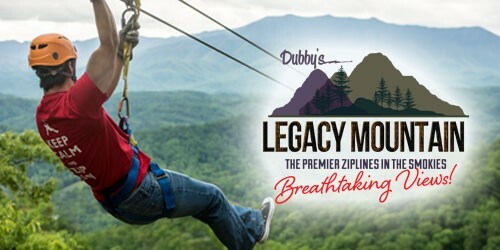 Few Pigeon Forge area vacation adventures compare to the thrill of a zip lining tour. The adrenaline rush of flying above the treetops on a wire while secured in a harness is pure exhilaration. 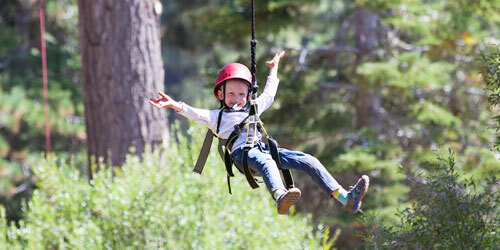 The joy of zip lining provides a fun-filled, action-packed excursion for the entire family. Zip lining, considered an exciting “eco-tourist” activity was actually designed to provide biologists, conservationists, and other environmental scientists with an ecologically friendly and safe way to observe and study the diverse, fragile flora and fauna of Costa Rica’s rain forests. Researchers raved about the resulting sensation of flying and prompted the promotion of the zip line recreational activity for people everywhere. Now, humans can enjoy the soaring reality of free flight while experiencing the amazing beauty of nature – from the bird’s eyes. Zip line and canopy tours throughout the Smoky Mountain region offer an assortment of breathtaking, “world-class,” flying adventures ranging from mild to WILD. Miles of ziplines extend over courses varying from easy to skilled and measuring from a few hundred feet to several thousand feet in distance. Heights extend up to 80 feet above the forest floor. Most tours include sky-bridges, nature centers and awesome ATV transports. The panoramic vistas from the platform drops are well worth the investment in a tour. 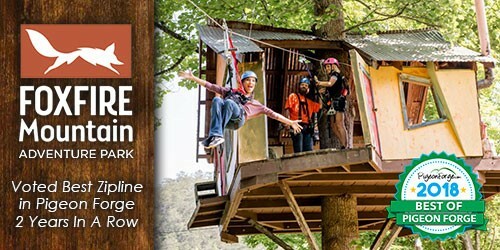 Zip line course packages are available for individuals and groups. Tours are booked in hourly blocks and run from 1 hour segments to a half day or more. Costs vary by tour and time. Special discounts are offered for online reservations, military personnel and their families, and senior citizens. Zip lining is a sport that may be enjoyed by adventurers from 5 to 95 years old – with exceptions. If you are planning to add a zip lining tour to your Smoky Mountain vacation prepare ahead. Consult with your doctor and make sure you are physically capable of “light exercise.” Zip lining is not recommended for women who are pregnant. The Association for Course Technology (ACCT) provides building and maintenance standards for zip line courses. Companies certified by the ACCT are inspected regularly by a third party for safety compliance. Patronize the companies that follow the strict practices of the ACCT. There is a “Golden Rule” tagged in the industry – courses and equipment are inspected DAILY. Trainers and tour guides should also be ACCT certified. 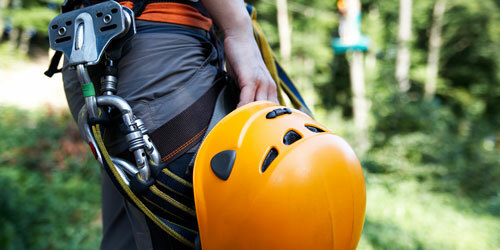 Zip lining is considered a safe and fun activity for individuals of all ages. It is important to take the proper safety precautions. Follow posted regulations and your guide’s instructions. Wear all assigned safety equipment – including helmets. NEVER put your hands near the cable pulley while riding. Know your guide’s hand signals – they do vary from course to course. Cross your legs and pull your knees up when riding for balance. Practice braking and control instructions. Don’t let your helmet rub the zip line – keep your head tilted to the side. Watch for oncoming branches and DUCK to keep from getting hit. Wear appropriate clothing; pants are better than shorts to protect legs. Make sure any bags, cameras, or phones fit securely against your body. If you carry a camera make sure it is strapped to one hand and the other hand remains free to brake at all times. Tie loose hair back with a secure band. Most tour companies post strict height and weight restrictions and require guests to read and sign waivers before riding zip lines. Children should be accompanied by responsible adults. Zip line tours are also subject to operating during optimal weather conditions. 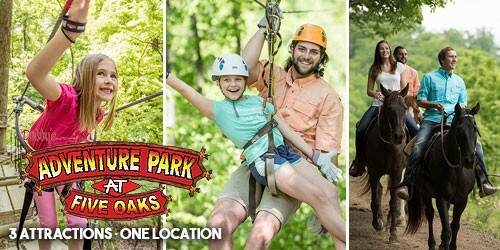 If you are aware of these regulations and conditions, it makes for smooth sailing (or should we say smooth zip lining) once you get to Pigeon Forge. Plan your adventure today!